Over the summer we were learning about the First Nations of North America. Tristan took a lot in, and there is still a lot to learn; but we’ll wait until next summer when he can take in a little more. 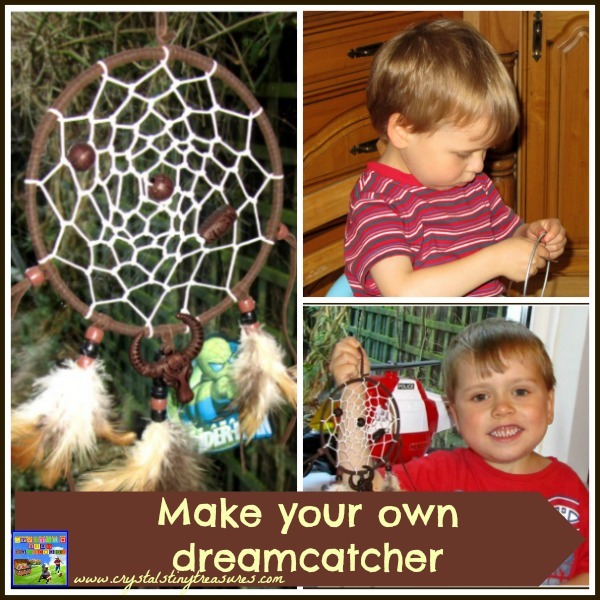 One item that has become popular around the world is the dream catcher. It is said that the spiderweb (or other shapes) work to filter out the bad dreams and catch the good dreams so that you will have a good night’s sleep. 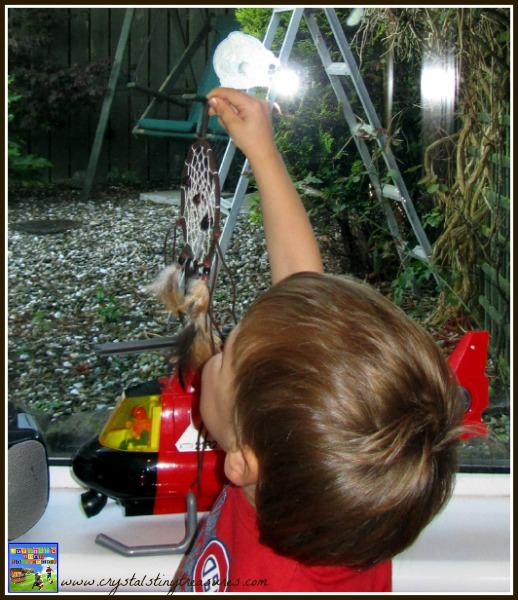 When we were in Canada I purchased a couple of kits for Tristan and our eldest Childmindee to work on. She confided that she had made one previously, but this was the first time that Tristan or I had attempted to make one. My sister made one for Tristan when he was a baby, and one for me, too, many years ago. Now it was our turn. The directions that came with this kit were not very clear so I consulted the Internet and we were soon on our way. There are many good sites that clearly show exactly how to make these, so I’ll leave the finer details up to them. 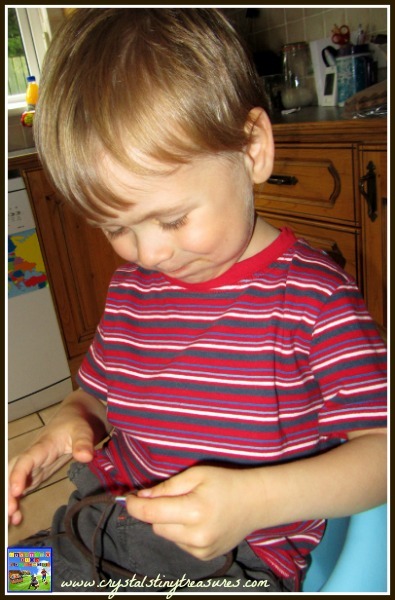 This was a great project for Tristan’s fine motor skills and attention/patience. He calmly took his time wrapping the suede around the hoop and asking for a little help when he got a little twist in the lace. 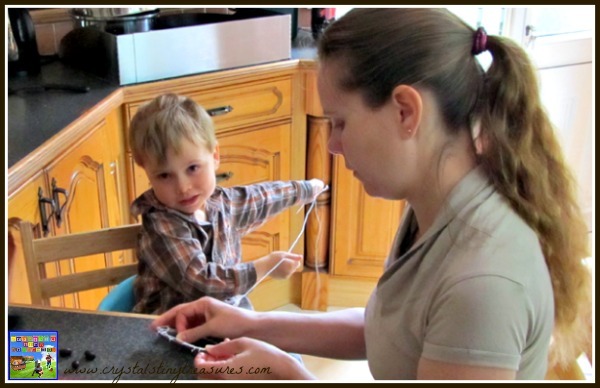 When it came time to do the webbing, I did give a little help to Tristan, but he did most of the work himself. He chose the bead design to make and which feathers should be used for the decorations at the end of the project as well, and I think he did a splendid job. 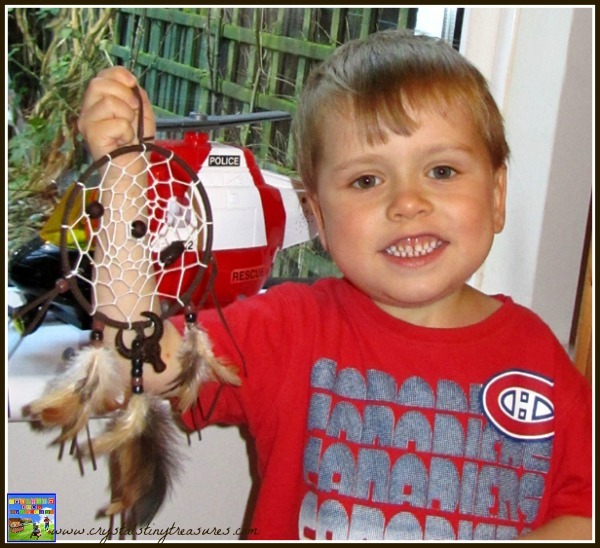 When the dreamcatcher was completed and the glue dried, Daddy helped him to hang it on his bedroom window so that he could have good dreams every night. The next morning he proudly pronounced that it worked! He could remember lots of good dreams, but could not recall any bad dreams. He was so impressed by this that he didn’t want Mommy and Daddy to be left without protection. 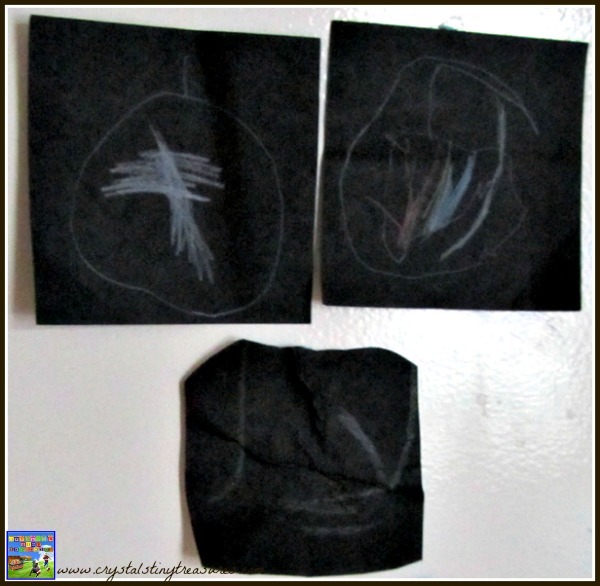 He made us a a set of three paper pictures. One is to get rid of the bad dreams, and one is to let the good dreams in. Kallista was also very kind and made us one as well (though I did reposition hers after she glued it to the lower half of the bedroom door! We are very lucky to have such kind-hearted children. Now we will all sleep in peace and wake up feeling refreshed and be in good moods all day long! Sweet dreams! Update in 2014: This dream catcher is still hanging on Tristan’s bedroom window. He goes through phases when he can’t sleep well or has bad dreams. We tell him the dream catcher must be full. 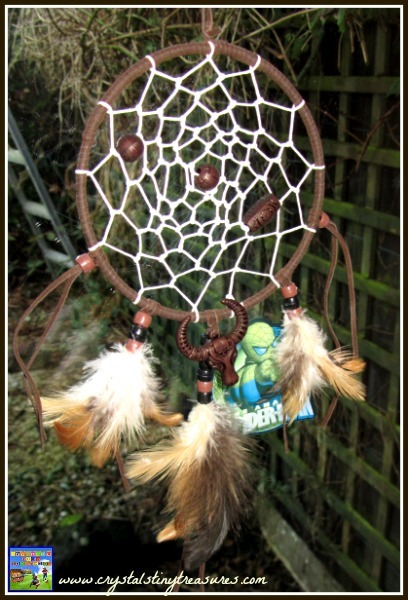 We take it outside and hang it from a tree in the sun and breeze for a day to clear out the bad dreams before hanging it again on his window. Then sleeps better again for another few months! For more activity ideas, see our pages on First Nations and Canada.